Infosys Placement Papers 2019 – Are you looking for Infosys placement papers 2019 or Infosys off campus placement paper then you can download here placement paper with solution in pdf for on campus placement drive for infosys. 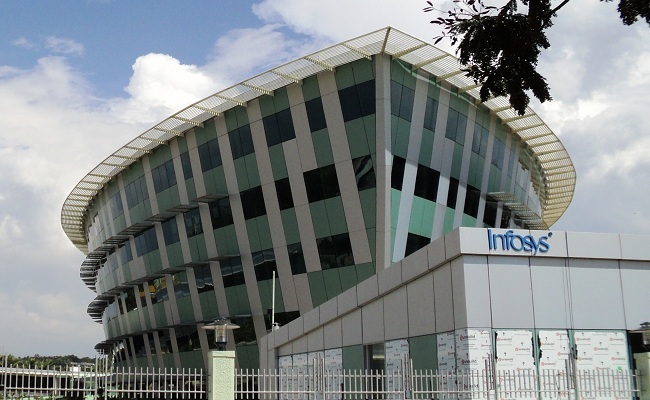 Infosys Placement Papers 2019 – The Infosys, top IT Companies has started recruiting the 2018-19 Batch students via on campus or off campus drives. All the students who wish to appear in the Infosys recruitment drives in near future must be aware about the infosys placement papers, Infosys solved placement papers, placement question papers, latest placement papers, selection process and Infosys interview experience etc. we are providing the Infosys latest recruitment pattern and Infosys placement papers with solution pdf download. Candidates Can download the Infosys Placement Question Papers from the links given below. Negative Marking – No, There is no negative marking in the paper. Logical Reasoning section (around 15 questions) consists of questions based on data sufficiency, visual reasoning, data interpretation, syllogism, blood relations, statement reasoning, etc. Quantitative Aptitude Section (around 10 questions) consists of questions based on permutation & combination, number series, formulae, analytical puzzles, algebra, probability etc. Quantitative Ability – In this Section Candidate’s Analytical and Problem Solving skills is measured. Infosys is focusing more in this section from the last year. It Clearly indicates that candidates have to solve 10 questions from 35 minutes which means the questions will be of higher difficulty level. The Candidates Can focus mainly on important topics like Permutation and Combination, Probability. The few questions will also be asked from the topics from the Time and Work, Time Speed and Distance, Profit & Loss, Percentage, problems on trains etc. Reasoning Ability – In this Section Candidates Have to solve 15 Questions in 25 minutes. The Mainly focus topics are Data Arrangement, Data Interpretation, Data Sufficiency, Syllogism, Visual Reasoning and Puzzles. The Difficulty level of questions is moderate. Verbal Ability – The Candidates must be aware that the Infosys is probably the company which focus on verbal ability more. Candidates have to answers 40 questions in 35 minutes . There are mainly main 4 Sections from each section 10 questions will be asked. focus mainly on the Grammar part, Comprehension, Vocabulary and Critical Reasoning part. Below table will give you an idea of difficulty level of quesiton paper year wise. As hiring trends dipping year on year, it is clear the companies are tend to give more hard paper so prepare to your best. Dear Students for all kind of placement papers stay updated with us. The remaining Infosys Placement Papers 2017 with Solution will be available shortly. Any kind of query you can mention in comments. That’s all for Infosys Placement Papers 2019-2020 and you can download paper from above link and you can comment in below box for any help. There is good chances that you may get call from infosys if you try amcat exam. AMCAT is one of leading job exam which lakhs of students have tried and got good jobs in MNC companies. 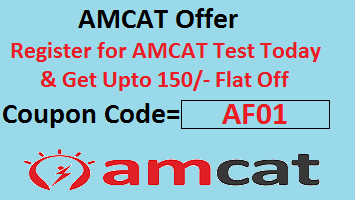 If you are planning to do so then apply below code and schedule AMCAT exam. Now you will get instant discount of 50-150 rupees. HR: TELL ME About UR FUTURE PLAN? HR: WHAT DO U KNOW About FINANCE? HR “WHATEVER U KNOW U TELL ME?THEN WHY DO U WANT SOFTWARE ENGINEERING POST? HR: TELL ME About UR EXTRA CURRICULAR ACTIVITIES?? ME: YES MAM…I TOLD ONE EXAMPLE FOOTBALL PLAYER..
HR STOOD UP AND SHOOK HAND WITH ME…..
Take Freshersworld exam to better job offers, use below coupon code. Infosys logical and verbal questions are not there. Can u please post it. It’s urgent. is infosys interview is technical if technical which subjects should be focused on. I have infosys placement this month please help me to get place, I need a suggestion of what to study and where to study those type of questions and what type of preparation is needed for technical round, please reply quickly as soon as possible…… Thanking You. I have my written exam of infosys on 9/9/2017.Can I get infosys placement paper for practice,bcoz in above pdf there is no verbal ability and no logical reasoning. I have infosys placements next month,can I get some help on the verbal section. through which website, infosys conducts aptitude test? website means some companies take aptitude through AMCAT, cocubes etc. Hi,please send me a Infosys Placement Syllabus for 2018. On this 10th march 2018 i have infosys placement exam plz help me by sending infosys placement sylabus. I have infosys exam on this week. please send me previous exam papers. Sir , with all respect . Can you send me previous year(5 to 10years) questions of Infosis. Can you suggest the filteration levels in infosys in campus placement? I have infosys placement next month please help me to get place, I need a suggestion of what to study and where to study those type of questions and what type of preparation is needed for technical round, please reply quickly as soon as possible…… Thanking You. Sir,can you send me the verbal and reasoning papers plz I have infosys campus drive on next week.